I have been lucky enough to help the fantastic game designer Jason Tagmire with his latest project. 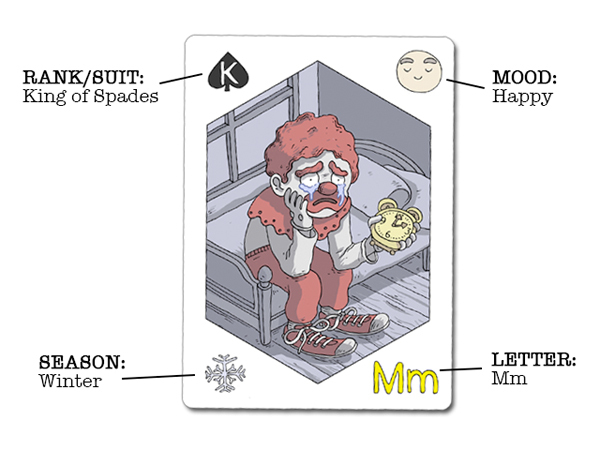 Each card features an illustration and a series of symbols and icons that can be used to generate ideas. You can pick up a deck of these awesome cards for as little as $10. 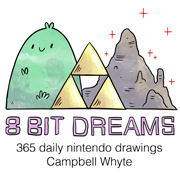 There are a bunch of great rewards as well, that you should check out over on the Kickstarter page. 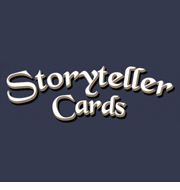 Storyteller Cards is a deck of 54 playing cards that each feature 4 unique elements. There is a CHARACTER, holding an ITEM, completing an ACTION, in a LOCATION. Each of these elements can be used to create something new, get you out of a mid-project slump, or just to have some creative fun with family and friends. 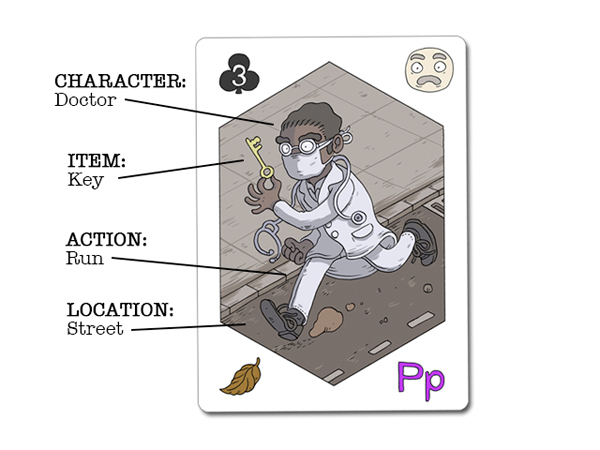 The cards also feature additional icons in the corners to help you dig a little deeper into storytelling, creating, and gaming. The icons represent a RANK, SUIT, MOOD, SEASON, LETTER, and COLOR. There are a few more surprises within those icons, but we’ll get into all of that later. Now, how can I use these cards? There are so many ways. It just depends on what you are doing. ARE YOU A WRITER that needs a location for a scene or just a character to spark a new adventure? Flip a card and you’ve got one! ARE YOU A DUNGEON MASTER running a modern day RPG and you need a special item for your party? Flip a card and you’ve got one! ARE YOU A TEACHER trying to encourage your students writing skills? Pass out a card to each student and let their imagination finish the story. ARE YOU JUST LOOKING FOR SOME CREATIVE FUN? Flip 5 cards and craft a scenario using an element from each card. Pass the cards to the next player to continue the story. Keep passing, it’s a blast! So head over to our Kickstarter page if you want to see this project become a reality.